What Will Fast Company Write about Your Startup’s Company Culture? It seems like it should be easy, but figuring out your company culture is actually really tough. But rest assured that the effort is well worth it—defining and evolving your company culture is one of the most important parts of a founder and executive’s job. It’s not a single moment where the culture is defined, either. It’s a continual process, but it has to be an intentional one. Here’s how to figure out your company culture and make it real. 1.1. What Will Fast Company Write about Your Startup’s Company Culture? Molly Graham, former Head of Mobile at Facebook, who worked with Mark Zuckerberg to define Facebook’s company culture in 2008, recognized the common pitfall that most company cultures are super boring. She came up with an ingenious solution to the problem, rooted in a simple trick that Amazon uses to build its products, that helped Facebook own the Hacker brand that defined the company through its IPO. At Amazon, before the product has been built or even spec’d, the product manager has a vital task that will shape the entire product development process. The product manager must write a press release that announces the finished product. They “are centered around the customer problem, how current solutions (internal or external) fail, and how the new product will blow away existing solutions.” Written from the customer perspective, they’re short — just a few of paragraphs long. When you’re trying to define your company culture, you have a bunch of adjectives and phrases that describe you and your company. What Graham realized at Facebook was that you need to turn those adjectives into a story that leaves the boring bits out and cuts to the heart of why the company is different and compelling. For Amazon, the pre-product press release is the story that answers the fundamental question of why the product is interesting to customers. Graham had an insight — why not apply the same idea to company culture? Her solution was powerful but simple: put down on paper what you want Fast Company to write about your company culture in two years. Like the Amazon press release, if it’s boring, do another draft. Keep going until you have something that your customers (current and potential), your employees, and your supporters recognize as unique and distinctive. Graham goes as far as to say “you should only write down your story if you are willing to stick your neck out and make it controversial.” Why? Because company culture should not only sound appealing to the people you want, it should also sound unappealing to the people you don’t want. If you’re not willing to take a stand with your company culture, you shouldn’t bother. It’ll be dull and antiseptic, unable to guide decision-making on tough questions, and no one will care. The press release bridges that critical perspective gap between inside and outside, nailing “how the world will see the product — not just how we think about it internally.” Do you want Fast Company to write two years down the line about how your company’s amazing customer service starts and ends with its company culture around delivering WOW (Zappos)? Or do you want it to write about the Hacker Way, your philosophy on breaking rules to make rapid progress (Facebook)? Start at the end. Think about that compelling, specific, and controversial company story that you want Fast Company to tell, and work backwards to figure out your company values and what you need to do to get there. 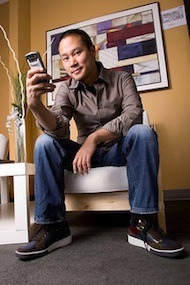 Zappos was a fast-growing company, but it was far from being the household brand that it is today. While it hadn’t yet come up with its core values for which it is famous today, the company had a growing sense of its own company culture and identity. They were on the cusp of something big. It was against this backdrop that Hsieh emailed this update to investors, employees, partners, and friends of Zappos. It’s an awesome behind-the-scenes look at what drove Hsieh and kept him up at night. In this glimpse into how Hsieh thought about building a company, you can see the seeds of what would grow into Zappos’s world-famous company culture and brand. With the WSA show right around the corner, I thought it would be a good time to send out another company update. We had a busy and hectic holiday season, and we’re happy to announce that we surpassed our goal of $175 mm for 2004 by ending the year with $184 mm in total gross merchandise sales! For 2005, our goal is to break the $300 mm mark. We moved our corporate offices from San Francisco to Las Vegas, with the majority of San Francisco employees relocating with the company. We increased our line of credit with Wells Fargo to $40 mm. We secured $20 mm in equity financing from Sequoia Capital, the same venture capital company that funded Yahoo, Google, and Paypal. We were ranked #15 in Inc. Magazine’s annual list of the 500 fastest-growing private companies in the United States. We expanded our warehouse from 120,000 square feet to 280,000 square feet, capable of holding 3 million pairs of shoes. We grew our total workforce to 500 people (200 in Las Vegas, 300 in Kentucky). We expanded our Customer Loyalty Team hours to 24/7, 365 days a year. We added handbags as a new category to our web site. Within shoes, we added many additional categories, including kids’, outdoor performance, skate, running, western, and couture. We increased the number of brands offered on our web site to over 400. From a merchandising point of view, last year our focus was on expansion. This year, our focus in merchandising will be on the growth of our existing businesses and the development of our people. We have added an Inventory Analyst to help us keep a closer eye on our inventory planning and execution, and make us more efficient and profitable. We have implemented a rigid training program for our merchandising team so that we can develop the best merchants in the industry. We believe that merchandising is both an art and a science, and we want to make sure our merchandisers embody this philosophy. We have also made the extranet more robust in order to strengthen our partnerships with our vendors and create win/win relationships for each of our businesses. On the marketing front, we will continue to focus advertising on our service and selection, rather than on price. We will be looking to integrate our advertising efforts more with those of our vendor partners. Our initial tests in 2004 with print advertising were very promising, and for 2005 we plan on increasing both our print advertising budget as well as our online advertising budget. But from a marketing perspective, what’s most exciting to us is that the biggest drivers of our growth are repeat customers and word of mouth. From a sales perspective, our goal is to get to $1 billion a year in gross merchandise sales by 2010 (or possibly sooner), which is why at this stage of the company we have decided to reinvest most of our profits back into our growth. Rather than maximizing short-term profits, we’re taking a long-term view and focusing on building the business for the long haul. We’ve grown quickly over the past 5 years, but we are just scratching the surface of what’s possible. We are often told that customer service is sorely lacking throughout most of this country. If we constantly focus on improving the customer experience and cause people to think about service everytime they think about Zappos, then in the long term, we believe that we will succeed as a company. However, our service can’t just be “good enough”… We need to go above and beyond people’s expectations. Internally, we call this our WOW philosophy. Our neverending goal is for every interaction with every customer to result in the customer saying “WOW” — so that they will shop with us again and tell their friends and families about our service. However, building a service organization is much easier said than done. It starts with extending the WOW philosophy beyond just our customers. We also need to extend it to our vendors, our employees, and our other business partners. Some people might call this “brand resonance”, but it’s really the only way to build an enduring brand. With our vendors, we’ve worked hard at building partnerships and avoiding the adversarial relationships typical in retail/wholesale relationships. And we plan to continue to do so in 2005. Our biggest challenge for 2005 will be managing our growth so that we stay consistent with the Zappos brand and grow our service-focused culture. We are now at the point where, with our rapid growth (more than doubling year over year, every year), we risk losing our service-focused culture if we don’t do a good job of actively managing it. It’s really the only thing that keeps me up at night… and the only way for us to succeed is to continue to apply the same partnership philosophy that we give to our vendors to our employees as well. The truth is, this is uncharted territory for us. I’ve never been part of a company that’s grown from nothing to hundreds of millions of dollars in sales. I’ve never been part of a company that’s grown from 5 people to a staff of over 1000, which is where we plan on being by the end of this year. So undoubtedly, we will make mistakes along the way, and we won’t do everything right the first time. But that’s okay, because that’s also what we want our culture to be about. We’re not afraid of making mistakes, but we’re also quick to turn them into learning experiences and fix the mistakes when they happen. Part of the Zappos culture is having faith that in the end, we will figure things out, and we will grow stronger through the experience. It’s how we got to where we are today. At the end of 2004, we published our first culture book — a compilation of opinions about what the Zappos culture means to each of our employees. 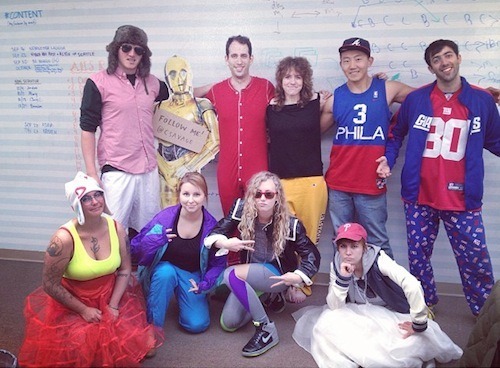 The culture book showed that no one person owns or dictates the Zappos culture. It is a collective effort, and it’s exciting to be part of a company that has accomplished so much by sheer willpower. The drive to succeed is inherent in our culture. The Zappos brand will live and die by the service that we deliver. So the question — to everyone receiving this email — is this: what can we do better to WOW you, whether you’re a customer, an employee, a vendor, or a business partner? Only with your feedback can we improve, and build something that has never existed before: a well-known brand, accessible to everyone, that promises nothing less than a WOW experience. If we can accomplish that, then we will have built a company culture and brand that we can all be proud of. That’s why in order for us to succeed, the Zappos brand needs to be about the service, not about the shoes. We have a long road ahead of us, but it’s an exciting one. Thanks to everyone for your support through 2004, and we look forward to an even better 2005! It’s crazy to learn about a deli that makes $50 million dollars a year. It’s stranger yet how they’ve done it. Most restaurants grow their revenue by opening more locations and eventually developing a franchise model like Subway. You sell more and more sandwiches as you open more and more stores. The problem is that the quality inevitably declines. Your restaurant becomes more about volume than great food and remarkable service. Zingerman’s, a deli based in Ann Arbor, Michigan, faced this fork in the road: open more locations or face continually stagnating revenue growth. Instead of choosing the conventional franchise path, they blazed their own trail. They grew from $5 million to $50 million in annual revenue in a way that allowed them to stay small and preserve the things about the company that made them special. But it wasn’t in food or service where they innovated to drive 10x revenue growth but in an unexpected way — by innovating on organizational structure and company culture. So in 1994, with the deli producing $5 million in annual revenue, the founders sat down and wrote their vision statement for what they called “Zingerman’s Community of Businesses,” a loosely organized group of local businesses under the Zingerman’s umbrella that gave its employees an opportunity to become partners. Each ZCoB business would be founded and operated by a Zingerman’s employee-turned managing partner who had gone through extensive in-house training on Zingerman’s company culture, values, and how it does business. Both the managing partner and Zingerman’s would contribute capital to get the business going. The result is a bunch of small startups based on the Zingerman’s company culture and brand, all based locally in Ann Arbor. Like the startup world, some ZCoB businesses have failed while others have succeeded. Today, ZCoB spans nine businesses along with “650 employees, 18 managing partners and combined annual sales of $50 million” of which the Deli only accounts for $14 million. Business journalist Bo Burlingham calls companies like Zingerman’s “small giants,” which are “companies that choose to be great instead of big.” In tech, it’s companies like 37Signals, Moz, Wistia and Buffer that eschew VC cash in favor of growing slowly so that they can build a company that’s unique and remarkable. But it’s hard not to focus on making money, because entrepreneurs are besieged by near-constant pressure to expand and grow. For Zingerman’s this alternative thinking meant eschewing the well-trodden franchising path and imagining a new way to structure their company, all based on the values that inspired them to start Zingerman’s in the first place. The happy twist is that small giants like Zingerman’s ultimately find financial success beyond their wildest dreams, and they do it by choosing not to focus on money. When the junior engineer can veto a hire or a bunch of employees can reject the employment of a co-founder’s family member (like in the story below), values become something more than words on a poster. Upending the power distribution of the traditional pecking order by extending the founder’s veto to your team in a real way is proof of a living, breathing, thriving company culture. While research has repeatedly shown that autonomy is crucial for employee happiness and optimal work, the people with the most autonomy tend to be those at the top. They’re usually able to veto any decisions made by anyone lower on the totem pole, no matter how much autonomy is cited as a company value. For Steve Newcomb, founder of Famo.us and Powerset, granting this power of the “founder’s veto” to all your employees — even over hiring and firing decisions — is crucial. It makes the intention to empower people “with a sense of ownership in the company” and have that be a defining part of your company culture a reality. That was the moment Newcomb realized that he’d built an amazing company culture. Imagine if Newcomb had sincerely gone along with his co-founder, which could very well have happened for any number of reasons. He could have been busy or uninformed on who exactly the candidate was or felt he was in a position where he didn’t want to hurt his relationship with his co-founder. The very fact that you’re a leader means that you’re at risk of distorted judgment, even as a well-informed, self-aware person. Power not only can change how your brain works, you’re also susceptible to the same irrational cognitive biases, such as confirmation bias, as everyone else. You become convinced that you’re the only one who knows what’s going on — except you’re in the position to make the final decision. Giving others a veto protects against the strong leader’s delusions. It preserves some of the spark. Let’s go back to Supercell’s terminology. Reflecting both its Latin roots (meaning “small room”) and what we learn about in biology (the smallest structural and functional unit of an organism), cells provide the dynamism and flow of building something together with a few people in the same room. It’s not just that these teams are small, they’re often cross-functional and self-managing, with members totaling in the single digits and probably eating two pizzas. Achieving big in this podular future requires thinking about what makes that small team magic yield more than a sum of its parts and how to make that synchronize that throughout an entire organization and scalable for sustainable growth. Autonomy is such a key factor in these small teams that they’re often referred to as startups within a startup. It’s no surprise; autonomy helps you move fast because you don’t get mired in decision-making by committee and inefficient coordination. Autonomy is also incredibly motivating. People crave some degree of control and self-determination to make, build, create awesome things rather than being told what to do. Yet letting loose a bunch of people and proclaiming “Go forth and be autonomous!” will likely result in chaos, just like mashing a bunch of small startups together to create a larger company wouldn’t work. You have to think about what brings the cells together and how to scale that organizational glue. The counterpart to autonomy is alignment, as Henrik Kniberg, an agile & lean coach who works very closely with the rapidly growing Spotify, explains. At Spotify, engineers and product people work within a kind of matrix organization that evolved out of a need to scale agile small teams. Their basic unit or “cell” is called a “squad,” a cross-functional, self-organizing, co-located team of less than eight people that has autonomy on what to build and how. While each squad has a mission to work towards, they still have to harmonize across many levels — on product, company priorities, strategies, and other squads. The trick, Kniberg explains, is not to frame autonomy and alignment as poles on a spectrum but as dimensions. The goal is high autonomy/high alignment within this framework. Companies adopt these principles in different ways, according to their needs and cultures. But in studying similarly structured companies, I noticed three ways they create their ecosystem to encourage high alignment/high autonomy and good organizational citizenship. The “best people” often gets boiled down to what’s the most talented and has the most skill. But that ignores the fact that people must work together. The actual “best people” then have a balance of autonomy and alignment in themselves too. They’re both self-directed and collaborative. For Spotify, that means filtering out people who don’t really care to align with anything outside of themselves — “the talented jerks,” as Jonas Aman, part of the People Operations team, puts it. “We don’t want to hire people who are very good at what they do but can’t work together with other people.” To do this, they scrutinize how candidates communicate about work they’ve done previously. Do they only talk about themselves? How do they talk about other people? “The best way to predict future behavior is to look at past behavior,” reasons Jonas. Mini-startups can sound very flat, but alignment, especially as you scale, requires some management, whether they have that title or not. a mix all the way from ‘the top’ (general strategic direction) down through other team leads (coordination where there’s team cross-over) through me (mainly prioritization and just helping people focus and not get tangled up in other things) to the team, which often decides who will specifically work on what, how to tackle specific projects, how to break it up, etc. So top-down communication helps provide direction and purpose — the “why” — and small teams decide how to go about finding the best solution — and it’s the team leads who largely make sure everyone’s in alignment. This more fluid, emergent style of management also applies the progress principle, the fact that making progress is the most powerful motivator. In high autonomy/high alignment company cultures, the job of managers and leaders is to help people make progress and make sure everyone’s on the same page about what progress entails. They do this by providing guidance, support, and making sure people have what they need, rather than a low-autonomy GPS-style management of giving turn-by-turn directions. Transparency is one of Automattic’s most prominent values. Beau’s team uses iDoneThis to keep on the same page on what everyone’s working on and to gauge progress all in one place, which helps align his team who’s distributed across multiple time zones. In addition, roughly 80% of all internal communication at Automattic takes place on its P2 blogs, which are organized variously by function, teams, and projects and run on WordPress’s own real-time theme. Rather than information getting hoarded away, decisions and discussions are documented, shared, searchable and viewable to everyone in the company. When everyone has the knowledge they need at their fingertips, they don’t have to wait around to get to work or make decisions, they can just do it. Distributing information also means distributing power, and sharing knowledge helps align small teams together. People need autonomy, mastery, and purpose to be sustainably motivated and engaged at work, as Dan Pink describes in his book, Drive. Companies like Supercell, Spotify, and Automattic show how Pink’s insights can apply to create not just intrinsic motivation for individuals but people management and collective focus at an organizational level. People in cellular, agile small teams thrive on autonomy and mastery — which are self-centered elements — but they are also guided, connected, and even elevated through purpose, which Pink describes as “our yearning to be part of something larger than ourselves.” By definition, as organization, there should be a collective purpose, but it’s often unclear or diluted through things like unhealthy politics, mismanagement, or even being at odds with the people you hire. In building and scaling organizations, communicating, refining, and helping people carry out that purpose is vital to creating good citizens in your work ecosystem. Like pods and squads and cells, it’s about the yin and yang of holding the individual and the collective in your mind at once and thinking about how you can grow together. Supercell’s philosophy is actually a reminder that we’re all made of smaller stuff, that small seeds can grow into giant trees, that small cells and pods can grow, in the right conditions, to achieve greater things. 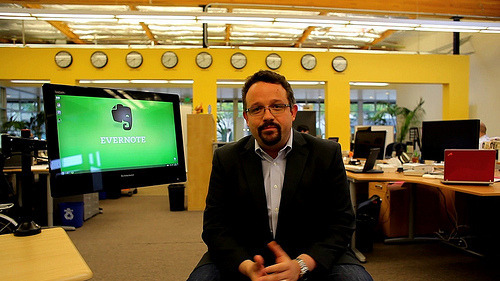 Credits: Check out Kniberg explaining Spotify’s engineering culture in this video. 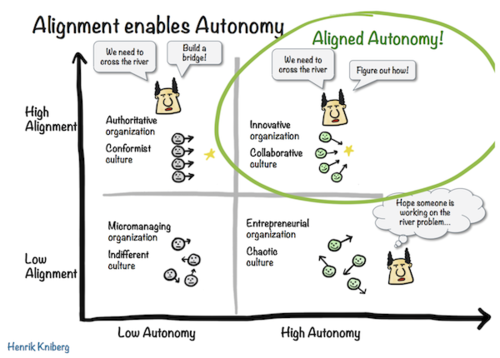 You can find the alignment/autonomy matrix in his slides here. I’m sure we’ve all worked at companies where the loudest guy gets the biggest bonus. In most companies, compensation is determined by a cabal of execs—guys that you may never have met—evaluating work that happened up to a whole year ago. Bonus compensation ends up being a function of politics, not performance. 51% of employees feel that the performance reviews upon which bonus compensation is based are inaccurate according to a 2011 survey by Globoforce. 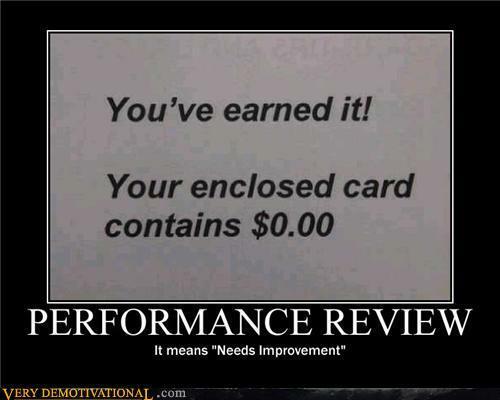 A 2010 literature survey in Psychology Today concluded that 87% to 90% of employees hate performance reviews because the feedback is not useful, the whole process is stressful, and they’re left demotivated as a result. Incredibly, despite widespread recognition of its failure, a recent Wall Street Journal article found that 99% of companies still go through the process of ritualized demotivation. At Shopify, an e-commerce software startup that’s doubled to a 100-employee headcount in a year’s time, they’ve reinvented the process and turned bonus compensation on its head. They distribute bonuses every month — not once a year — and that compensation is determined by peers, not by the management team on high. Shopify crowdsources their company bonuses. 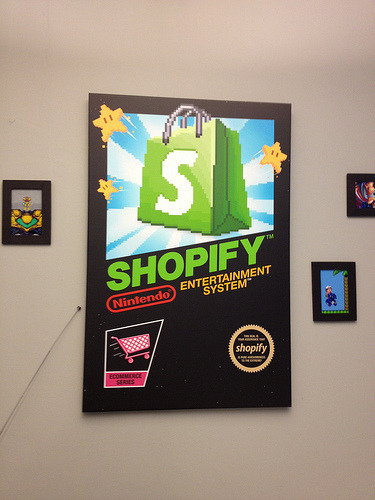 We spent a week with Shopify at their headquarters in Ottawa, Canada, after the company began using iDoneThis. We learned that their use of iDoneThis was a small part of a bigger philosophy—to put power in the hands of employees, the ones closest to the ground, to make consequential decisions, crowdsource business intelligence, and build their own unique company culture. 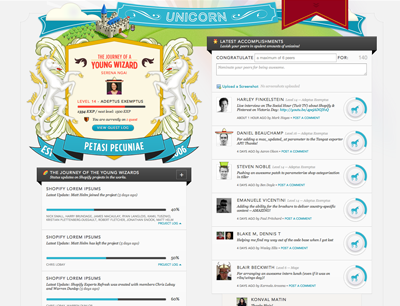 To crowdsource company bonuses, the Shopify team built their own internal system called Unicorn. Here’s how it works. When Serena does something awesome, Daniel gives her thanks by going into Unicorn, logging her accomplishment, and giving her one, two or three unicorns. Everyone in the company sees Serena’s plaudits and can pile on more unicorns if they agree that she did an awesome job. At the end of month, every employee in Shopify gets allocated a proportion of the company’s profits that are set aside for Unicorn bonuses. Daniel’s allocation goes to Serena and anyone else to whom he’s given unicorns over the course of the month. In other words, Serena’s bonus is determined by the gratitude of her peers for a job well done. Whereas traditional bonus compensation schemes assume that management knows employee performance better than employees themselves, Shopify’s system seeks the wisdom of the crowd to determine who the top performers are. The upshot is that Unicorn isn’t merely an administrative tool that doles out bonuses, it’s a business intelligence platform for employee performance. It’s the difference between management hindsight on the one hand and data and genuine insight on the other. CEO Tobi Lutke told me that Unicorn discovered top performers among employees who might otherwise have been overshadowed by more charismatic colleagues. Perhaps the most amazing fact of Unicorn is that Shopify has transformed the process of workplace feedback, performance evaluation and compensation from a source of fear and dread into a fun way to recognize a colleague’s good work. The power of crowdsourcing is that it can take a back office function like traditional HR and put it into the hands of every person in the company. The result is that Shopify’s company culture of performance, gratitude, and quirkiness is baked into everyday life at the company. Many co-workers eat lunch together, but for Karma, the ritual is a deliberate part of a larger company culture to build both personal relationships and an open way of working. Company culture means the most when you stand by it in tough times, when making it real costs you something, and when putting it into practice means changing the way you run your business. The upshot is that by living your values and imbuing them into all aspects of your business, you reinforce them and make them stronger. What results is a transformation of the company that helps it becomes its best, most distinct self. Here are how some of the strongest brands and cultures in the startup world have done it. “Aw crap,” I muttered as I looked at my inbox a few weekends ago and saw an email from Buffer CEO Joel Gascoigne with the subject line “Buffer has been hacked — here is what’s going on”. I wanted to get in touch to apologize for the awful experience we’ve caused many of you on your weekend. Buffer was hacked around 1 hour ago, and many of you may have experienced spam posts sent from you via Buffer. I can only understand how angry and disappointed you must be right now…. Fortunately we hadn’t been affected, but I continued to follow updates as they unfolded. 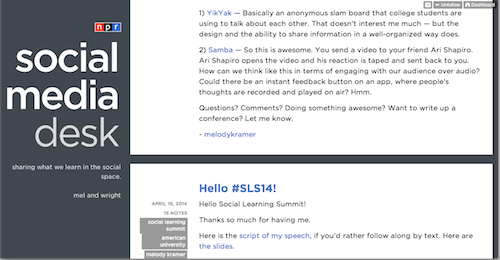 Throughout, Buffer was transparent, responsive, and reassuring. They disclosed, accepted responsibility and apologized for the security breach. They communicated not just what they knew but gave us a heads up about their next steps and guidance on what we could do to protect our accounts in the meantime. They also continued posting updates and answering everyone’s questions while resolving the problem. What happened next is a testament to the strength of Buffer’s response. Joel reports that the pattern of upgrades to paid plans was unaffected and that while there was a spike in downgrades from Buffer’s paid plan, the numbers evened out to normal levels within a few days. Most interestingly, Buffer saw “almost record numbers of signups” during the days of the breach, which Joel surmises was due to the positive press on how they handled the breach. It turns out that Buffer’s transparent, prompt, and empathetic response to this hacking incident is the optimal type of reaction for a business responding to a crisis. Research by Adam Galinsky and Daniel Diermeier from Northwestern’s Kellogg School of Management shows that the best type of crisis response is one of engagement, meaning that it expresses concern, shares information, and doesn’t close off blame or fault. One experiment showed the impact of such a response. Study participants read a (made-up) news story about a beverage company alleging a hostile work environment of sexual harassment before they evaluated bottled water from the company in the story. When the company gave an engaged response that such hostile behavior wouldn’t be tolerated and that they were taking the allegations seriously by conducting an investigation — people thought more highly of the company, drank more of its water, and even thought it tasted better. In contrast, a “no comment” from the company was almost as detrimental as a defensive response denying the allegations and refusing changes to current practices or any investigation. In these two cases, people drank less of the company’s bottled water, said it tasted worse, and were less likely to drink the accused company’s water than an unrelated company’s. The quality of the company’s crisis response in the eyes of the consumer was powerful enough to affect or “contaminate” what the researchers called “logically unrelated behaviors” such as taste. As a customer, it’s delightful to get a response that sounds like it’s from a real human being with real human feelings who will actually do something for you rather than a robot that immediately minimizes the existence of a problem. So Galinsky and Diermeier’s findings that trust requires transparent and caring communication can seem over-obvious. What’s telling is the divide between customers’ experience compared with the point of view of many businesses who still operate as if silence and the appearance of control — even when untrue — is golden. Nobody likes getting left in the dark or getting the run-around. At the same time, it’s not uncommon for people to operate in “no comment” mode or radio silence themselves — and this may be especially true when their work isn’t going well. It’s uncomfortable and scary to have to admit to having difficulty so people don’t say anything. Yet such times are exactly when others want to know what’s going on so that they can help. In contrast, Buffer has a company culture of internal engagement, habits of expressing concern and being forthright not only about positives but failures too. Known for its daily practice of extreme transparency, the team regularly shares information including how much salary and equity everyone gets, sleeping stats, specific self-improvement steps, in addition to what everyone is working on. Their default to transparency in how they operate, make decisions, and treat each another provides an integral foundation. I’ve heard “transparency is easy when things are going well”. This weekend showed me the importance of being transparent when they’re not. One of the most admirable aspects about the hacking incident is how the entire Buffer team went into all-hands-on-deck mode over a weekend and as a distributed team. They were able to come together and coordinate the technical investigation and customer support — because that’s simply how they operate everyday. Likewise, customer trust on the whole stayed true, not just because of Buffer’s engaged response but because that’s what they’ve been doing all along — being responsive, thoughtful, prompt, and honest through all times, crisis or not. When the groove of company culture grows deeper with every passing day, such values and practices become second nature and emerge that much more easily when the going gets tough. Learning the new literacy of the 21st century doesn’t come cheap. Companies like Wistia are offering a brilliant way around the expensive world of software engineering education. Wistia actively looks to hire non-technical people who want to learn how to code, pays them to work in customer support, and trains them on how to become a software developer. In time, the skills they develop rival what they’d learn in school, the employees are in a position to become professional developers, and they’re well-compensated to learn and grow in a supportive, practical setting. It’s naive to think that, while learning to code, a customer champion will be able to fix bugs and solve issues for the customer totally independently. However, learning to code completely transforms the role of support and the internal interaction between support and engineering. Instead of getting caught up in the process of transactional support — filing issues, closing tickets, and banging out emails — customer champions who learn how to code are empowered to work together with an engineer to find the root cause of problems and solve them. Together, they’re able to make issues go away forever, not just placate a customer until the next one comes along with the same problem. Not only does this process increase transparency and knowledge about the product and how things get done, students gain a gratifying sense of deeper involvement and contribution that spurs them to keep learning. It’s not uncommon for a fresh computer science graduate’s first stop out of college to be “a software engineer in test” as it’s called at bigger companies. It’s a great place to learn the basics of testing and producing reliable code, all real-world problems that you don’t often deal with in school. Unlike hacker school grads who typically build their own small software applications, graduates of Wistia’s Code School cut their teeth on reliability and testing on a large-scale production application. They’ve been so successful that many of them are well-equipped to move on to becoming full-fledged engineers. The tech world today isn’t unlike that of finance of the 1950s where opportunities abound for stock room clerks to rise to the top of the organization by picking up the skills they need on the job — where credentials and a past history of success doesn’t matter as much as a hustler’s attitude and a willingness to learn. For employers, there’s a huge return for those who think long-term and invest in their team. Most startups are software companies, after all, so it’s extremely beneficial to the organization and the customer if everyone in the company can code. With that reality comes the opportunity for those wanting to learn how to code to develop their skills in an environment that’s richer than what school has to offer. When I first joined iDoneThis, I hated our weekly meetings. They were demoralizing and amorphous. We rambled on, drowning in circuitous discussions about product that led nowhere. The meetings became a chore, making us feel like sulky high school students waiting for the bell to ring. LinkedIn CEO Jeff Weiner noticed a similar bad meeting phenomenon of tending to “devolve into a round robin of complaints.” His unconventional solution was to change up the meeting format by promoting something you wouldn’t expect: gratitude. The sad fact is that the workplace is the worst place to find gratitude, according to a 2012 survey by the John Templeton Foundation. 60% of people reported that they never expressed gratitude, or “perhaps once a year.” Only 10% of people share their gratitude every day with their colleagues, a mere 7% with their boss. The implication is depressing: day by day, people’s effort and hard work get taken for granted. How deflating it feels to toil away, unappreciated. How easy it is, then, to stop toiling. This is exactly the practice Weiner implemented in his weekly executive meetings at LinkedIn. Before getting down to business, everyone goes around and shares one personal and one professional win. Kicking off a meeting through this positive lens of accomplishment, recognition, and gratitude doesn’t just lower stress but also paves the way for a more productive meeting, with higher energy and lower chances of getting bogged down in the negative and irrelevant. According to Weiner, gratitude is the “highest ROI management tool I know … that is available to everyone, costs essentially nothing, and is a proven driver of workplace productivity.” Gratitude doesn’t just make you feel better, it makes you want to contribute more. That simple expression of thanks resulted in more than a 50% increase in the number of calls in a single week. Gratitude, Grant and Gino explain, increases our feeling of efficacy and self-worth, which sets us up to continue contributing. Most of us recognize that we want to feel valued, that it helps us feel engaged and motivated. The Templeton Foundation numbers confirm this, with up to 80% of people reporting that they’d feel better and work harder if they received more gratitude from their boss, and 88% declaring that sharing their appreciation would make them feel happier and more fulfilled. How come we yearn for the gratitude of others but so rarely share it ourselves — even when we know it’ll feel good? It comes down to expectations and opportunities. When practicing gratitude out loud at work isn’t common, we don’t know if it’s acceptable behavior. This is why leaders can make a real difference by setting examples and providing opportunities for authentic recognition and appreciation to happen. “You should always highlight what your coworkers are up to if they’re doing good work,” agrees Melody Kramer, digital strategist at NPR. She created a daily internal newsletter, circulated among 450 people across NPR (and now publicly available), to do just that, strengthening the organization by passing on information about how people were experimenting with social media and digital and what worked. Melody sees her job as thinking about how to make the NPR newsroom more productive and make their jobs more enjoyable, even “when they’re being asked to do 8 million things a day.” Being mentioned and sharing, she found, made people happy, which in turn led to more sharing, building up not just appreciation and morale but knowledge. For a large nonprofit with many people but limited resources, that’s powerful. The gratitude gap results in less happiness, less wellness, less connection, less knowledge, and yes, most likely less productivity. Gratitude strengthens all around. Every opportunity for gratitude is also a chance to encourage the kind of behavior, attitude, and work you want to see. Share your wins by writing them down in a group list, a common space, or out loud at a meeting. Be specific by thinking through the what, why, and who helped to make them happen. This is a practice that’s an utter waste of time if you phone it in, so take authenticity over frequency, quality over quantity. Wins often arise from what we learn. Making what you do and learn more public, as Melody did at NPR, can promote more sharing and involvement. “It’s like open-sourcing your knowledge,” she describes. Wistia uses a team done list to open-source good things about their work day. Director of Customer Happiness Jeff Vincent explains that this stimulates productive conversation, collaboration, and inspiration that wouldn’t have happened otherwise. Here at iDoneThis, we eventually switched over to a new type of weekly meeting, a show-and-tell. Every Friday, we get on videochat and share something we’re proud of that we worked on in the past week or that we learned. As a distributed team, having this deliberate face-time to reflect on wins and talk positively about work helps us learn from each other, feel like we’re building something together, and boosts our morale. Gratitude has something of a cheesy reputation, invoked on holidays and in sentimental moods, but I’m not talking about grand gestures or greeting cards. 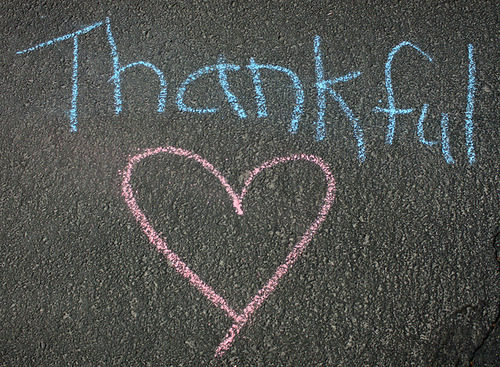 I’m talking about the simple act of giving thanks, sharing your appreciation, recognizing others. To Zuckerberg and other Silicon Valley luminaries like PayPal billionaire Peter Thiel, the secret to productivity is this: focus is singular. You don’t get three or four or five. You only get one. In the words of former PayPal executive Keith Rabois, Thiel “would refuse to discuss virtually anything else with you except what was currently assigned as your #1 initiative.” If Kagan had tried to have a meeting with Thiel to pitch a new a new idea, they wouldn’t have even gotten to the whiteboard. Thiel wouldn’t discuss anything but your top initiative. With distractions cleared away, Thiel allowed every person in the company to seriously pursue their only priority “with extreme dispatch and vigor.” Granting employees a singular focus encourages a clarity of thought and mission that can drive people to perform at A+ levels. It turns out that for personal productivity, multitasking is one of the worst things that you can do. [M]ultitaskers are terrible at every aspect of multitasking. They’re terrible at ignoring irrelevant information; they’re terrible at keeping information in their head nicely and neatly organized; and they’re terrible at switching from one task to another. On the other hand, researchers have shown having the ability to direct your focus to disregard impulses and distraction — maintaining “cognitive control” in psychological terms — has been shown to be a more powerful long-term predictor of future financial success than IQ and wealth. In a thirty-year study, psychologists followed the trajectory of over 1,000 New Zealand children to find that those who became the most successful weren’t the smartest or the most well-heeled. 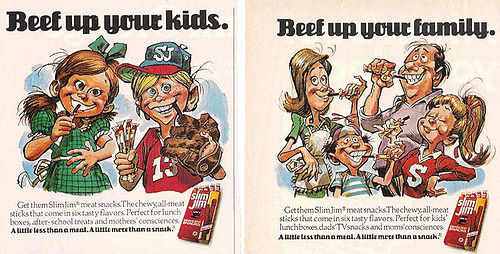 They were the children who had shown the greatest self-control. And it’s focus, or control over the mind, that holds the key to self-control. Focusing on a single, high-impact priority can be the critical advantage for getting things done — whether it’s for yourself or with your team.There are a lot of smart people out there, and a lot of people who have money to spend to make things happen. Your ability to focus and manage yourself amidst the rising tides of tasks, distractions, and ideas is what will set you apart. To Zuckerberg and Thiel, if you allow yourself to have more than one focus, you’ve already accepted the probability of mediocrity. By its very definition, focus doesn’t function when you’re diffracting your attention. They considered focus so important that they made it a core part of their company culture, and they lived that core value in their meetings, performance reviews, and decisions on hiring and firing. Make your focus ruthless. Focus on just one thing, and you’ll put your organization and your own personal productivity on the path to doing your best work and achieving excellence. A company is composed of who is hired and who has been fired, which makes it a fundamental part of determining company culture. It’s painful to not hire someone purely for lack of culture fit when you’re in desperately in need of more hands on deck. It’s just plain tough to fire people who aren’t working out at the company. But these are essential skills you’ll need to build and grow your company culture, because company culture gets built through hiring and firing, whether you like it or not. Google’s known for being one of the most data-driven companies in the world and in the area of HR, they’re no different. They even have a department of “people analytics” whose job it is “to apply the same rigor to the people side as to the engineering side.” Google takes this extremely seriously: “All people decisions at Google are based on data and analytics,” according to Kathryn Dekas, a manager in Google’s “people analytics” team. Their use of data is such a powerful part of company culture that it was able to refute the bias of the company’s founders towards those with an elite educational background that mirrored theirs — that is, top university grads with high GPAs — and it actually resulted in changed organizational behavior. For years, candidates were screened according to SAT scores and college grade-point averages, metrics favored by its founders. But numbers and grades alone did not prove to spell success at Google and are no longer used as important hiring criteria, says Prasad Setty, vice president for people analytics. Google’s findings have a strong congruence with bestselling author Dan Pink’s work, that the source of human motivation and our best work comes from the drive towards autonomy, mastery and purpose. This can clash with high-prestige and credentialed individuals who are driven by external recognition and rewards, not curiosity and craft. What you might end up with is people who can follow the rules, but not necessarily those who are after moonshot innovation with extreme dispatch and verve. There’s no single best way to communicate internally with your team or externally with customers and stakeholders. How you and your colleagues communicate is a product of your company culture, which means that the best way to do it is the way that’s true to who you are as a company. That’s how you’ll develop your individual voice and innovate where others just try to copy the leaders. Here are how some of the best companies developed unique ways to communicate, in line with their company cultures, that resulted in significant innovations in how companies are designed and built today. Within Amazon, founder and CEO Jeff Bezos has a rule: working teams should be no bigger than what two pizzas can feed. Moreover, he has declared that “communication is terrible” and that he wants his teams to communicate less instead of more. The upshot is a chaotic environment in which the left hand doesn’t know what the right is doing. Standards are incredibly inconsistent across teams, work gets duplicated, issues and bugs get lost, and more. It’s insane. The saving grace is a decree that Bezos made back in 2002 — now the one thing they do really well — that aligned their software structure together with their organizational structure to make small teams work at Amazon. 4) It doesn’t matter what technology they use. HTTP, Corba, Pubsub, custom protocols — doesn’t matter. Take a moment to appreciate what Bezos was saying about how teams should communicate. Instead of informal communication in the hallway, teams had to interact through well-defined software APIs. If marketing wants stats from a product team, they can’t ask them for it. They need to hit the product team’s API to get the data. Software teams were made to decouple their code and their resources from each other, and make them available through APIs and web services. In short, Bezos decreed that the code must be organized into small, distinct services over which small teams have ownership. “Each of these services require a strong focus on who their customers are, regardless whether they are external or internal,” says Amazon CTO Werner Vogels. In other words, each small team acted like its own small company inside of Amazon. Moreover, small teams were directed to interact internally with each other as if they were external customers, by using external interfaces and only those interfaces. That’s the incredibly powerful force that spawned Amazon Web Services, which has grown its revenue to over $1 billion annually. It started as the infrastructure that supported the Amazon.com store (its first “customer”) — and then, decoupled and working autonomously, it grew into a huge independent business that powers much of the web. Bezos’s genius sleight of hand was that by limiting team communication to defined external interfaces, by overstating that “communication is terrible,” Bezos turned internal company collaboration into a process of customer-to-customer interaction, furthering his goal of making Amazon the most customer-centric company in history. It’s called a services-oriented architecture, and no one does it better than Amazon. Each team and piece of software operates as an independent, self-contained service. It’s the model that makes the chaos of small teams in Amazon work. The wonder of Silicon Valley has been its rich history of producing incredibly capital efficient companies operating at massive scale. No doubt part of that achievement lies in the capital efficiency of software engineering itself where technology gives incredible leverage to create and disrupt established industries. Nevertheless, as a company scales, individual engineers need to work together in concert which results in the industry-agnostic problem of people management. Unique from other industries, Silicon Valley’s natural inclination is not simply to find a solution to people management, it’s to create a scalable management model. Of course, technology is the natural place to turn. What you get is a shared company culture among companies in Silicon Valley, where internal company communication happens in a similar, scalable way. 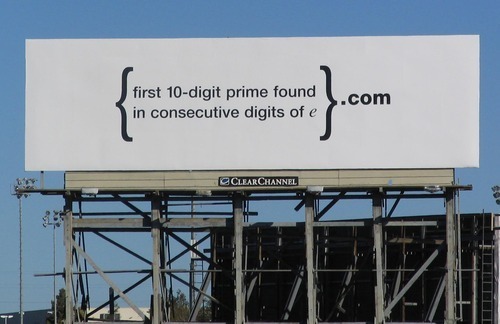 During Google’s growth stage, Larry Schwimmer, an early software engineer, stumbled upon a solution deceptively simple, but one that persists to this day at Google and has spread throughout the Valley. In his system called Snippets, employees receive a weekly email asking them to write down what they did last week and what they plan to do in the upcoming week. Replies get compiled in a public space and distributed automatically the following day by email. A number of the top Silicon Valley startups have similar processes. At Facebook, they have a system called Colbert where weekly check-ins are logged. Square employees, for example, send weekly reports directly to the COO Keith Rabois. The elite engineering shop Palantir requires a weekly email to managers detailing what got done last week and what’s planned for the upcoming week. The Snippets process at any scale is a compelling productivity solution, and companies of all sizes have adopted it — some, like SV Angel, rich in Google DNA, do daily snippets. The process forces employees to reflect and to jot out a forward-looking plan for getting stuff done, all while requiring a minimal disruption in the employee’s actual work. Setting aside time on a daily or weekly basis to reflect on the day is a powerful productivity hack. In The Progress Principle, Harvard Business School professor Teresa Amabile and Steven Kramer showed the counterintuitive conclusion that progress toward a meaningful goal is the #1 motivator for employees at work, not financial motivation or downward pressure. Professor Amabile prescribes 5 minutes per day of reflection, religiously protected by bosses, centered around the progress and the setbacks of the day. Simply put, employees connected to their work and its progress are happier and more productive. On the flip side, Snippets works because it has a minimal disruption in employee flow because it works asynchronously and without facetime. It allows for a maker schedule — large blocks of time dedicated to concentrated progress on work — rather than breaking up an engineer’s day into a manager’s schedule to suit a manager’s need to manage. At Palantir, they do email snippets because they have a very strong company culture against meetings. In addition, email as an interface avoids the issues with, for instance, CRMs, where employees spend valuable time logging into a system and entering highly structured information or they don’t use it at all. Google turned periodic email updates as a process into a scalable management solution, leveraging technology, through automation, data storage and data retrieval. An individual’s Snippets are transparent across the organization and are linked to an individual’s internal resume in its MOMA system which connects individual employees to the work of team members and others within the company. It can kill political squabbles, the core problem of people management, by providing a record of what’s been done. Put differently, Snippets is a management process that scales because transparency means that individual engineers can manage themselves and individual engineers can manage each other without having to go through a middleman. It’s the disruptive power of peer-to-peer for management centered around atomic units of work. Silicon Valley’s focus of work around the work itself is still an ongoing competitive advantage. Compare it to the East Coast and you’ll see a stark contrast in the importance of dress and facetime at the office. Being work-centric means focusing manically on how to formulate process to eliminate all the cruft. Most engineers at Google, Zynga, Palantir, Square, etc. do often end up finding the process of Snippets and OKRs to be annoying and unnecessary — at the same time, many of them admit that they were their most productive when they closely tracked their Snippets and OKRs (objectives and key results) and that much of the autonomy and freedom that’s characteristic of top software engineering shops in the Valley could be attributed to Snippets doing its work of people management secretly, in silence. Wistia offers an incredibly comprehensive guide on how to make incredible marketing videos for your company, but there’s one vital ingredient to successful marketing that can’t be taught in an instructional video. That worked because Zappos intensely invested in the value of customer service in their company culture. In fact, a core tenet of Zappos’s cultural values is to deliver WOW, a customer experience so over and beyond the norm that it makes you say, well, “WOW!” It’s that ingrained, infectious company culture that drives outlier performance to the point that people feel compelled to spread the message about Zappos’s brand themselves. The best thing about company culture is that it can’t be replicated by copycats. Company culture works when it’s authentic, and that which is authentic is highly personal. Here are some concrete tips on how you can cultivate your company’s distinct and authentic company culture. As Picasso observed, “when art critics get together they talk about Form and Structure and Meaning. When artists get together they talk about where you can buy cheap turpentine.” So often, when company founders get together, the talk turns from high-level conversation on culture and happiness to the nuts and bolts of how tone gets established internally through the the actual tools and processes your company uses. Companies noted for their culture like Zappos and Wistia don’t just use email alone, they use a multitude of tools and processes, each with a specific purpose to ensure the best internal communication. For instance, at Wistia, they use iDoneThis as an accomplishment list that shows others what they’re working on, they use Yammer for watercooler conversations, and they have weekly standup meetings where they announce their goals for the week. This way, their growing team feels like it did when it was just four guys sitting around a table, and Wistia can more effectively coalesce and foster its unique company personality. A distinctive, authentic company culture becomes an integral part of its brand. It can be a critical ingredient to your message and story that not drives that powerful modern-day word of mouth but provides internal cohesion. And without some contemplation and communication in your company about how to cultivate an actual company culture, drawn from the people and their sense of purpose and values, you won’t get to a message worth spreading. Startups are fast-moving and exciting, with a culture of getting stuff done. So it’s one of the biggest shocks for startup founders to see that company culture change as the company grows, and naturally founders often get nostalgic for the days of yore and they make preserving startup culture a priority. One company that’s attempting to avoid stagnation by intentionally evolving its company culture is Zappos. Like every grown-up company, Zappos has seen the effects of having a headcount over 1,000 people, but they’ve come up with an unorthodox solution to the problem. That fact spurred Hsieh to intentionally evolve Zappos company culture in a new direction — in the future, Zappos would be more like a city than a company. Nishiyama Onsen Keiunkan is the oldest company in the world. Founded in 705 A.D., the Japanese hot spring hotel has operated continually for an astonishing 1,300 years. Think about it: this company has existed since before Charlemagne became the first emperor of the Holy Roman Empire. The company’s founder, Fujiwara Mahito, was the son of a close aide to Emperor Tenji, Japan’s 38th emperor, and he built the hotel in a mountainous village in Hayakawa, Yamanashi Prefecture. It’s said that some of the most famous shoguns and samurai soaked in the hot springs there, so that when you go for a dip, you’re in good historical company. Having survived a mind-blowing 52 generations of successive ownership within the same family, the hotel is no doubt a study on how to achieve longevity in business. Learn these three vital lessons from the hotel on building a business that lasts. As of just a few years ago, Nishiyama Onsen Keiunkan wasn’t the oldest company in the world, another Japanese company was. Kongo Gumi was founded in 578. In the business of construction, Kongo Gumi mainly focused on building Buddhist temples. But in 2006 — after a 1,428-year run — Kongo Gumi met its abrupt end because it broke one of the fundamental laws of longevity. Kongo Gumi’s business started with Buddhist temples and eventually grew to include commercial buildings and even coffins during the rough times of World War II. Through fourteen centuries, the company survived and thrived. What did the company in was the boisterous bubble economy of the 1980s. During this time, in a bout of excessive exuberance, the company borrowed heavily to invest in real estate. But when the bubble burst in the 1992-1993 recession, the company’s real estate holdings shrank in value. Then by 1998, demand for temple-building declined sharply. In 2006, the end had arrived — the company’s “borrowings had ballooned to $343 million and it was no longer possible to service the debt.” Kongo Gumi was no more, and Takamatsu, a larger construction company, acquired its assets and made it a subsidiary. Making growth a priority is anathema to long-term survival. Small companies survive. Not only has the same family run the hotel for 52 generations, there are families among the staff who have held the same post for generations. That’s why they run the business in the spirit of service, as a way to earn wages and protect the hotel — not as a way to profit. The hotel business is one of the oldest in the world. In fact, most of the oldest businesses in the world are hotels, breweries, pubs, or restaurants. Finding an industry with relative stability is essential for building a company that lasts. Nintendo is a prime example. You may not realize it, but the company is 125 years old and long pre-dates their 1985 video game console. Founded as a card company back in 1889, Nintendo’s first product was a playing card game called Hanafuda. With the success of their handmade cards, they quickly moved into mass-producing playing cards and that’s what they focused on until 1956. But beginning in 1956, the company began struggling because of the limitations in the playing card market. In 1964, the playing card market crashed and Nintendo stock tumbled from 900 yen to 60 yen. That’s the kind of market shock that kills companies, and Nintendo’s run could have ended their if they hadn’t been flexible. They realized that playing cards were just a type of toy. They applied the experience they had making playing cards to toys and found success. Eventually, making toys eventually led them to making electronics and then video games. Rather than living and dying with the playing card trend, Nintendo was flexible in how it interpreted its industry and value, and it found longer-term stability in applying creativity to making games — and there will always be a market for products that are fun. Of the 5,586 companies in the world older than 200 years, a startling 56% percent of them, or 3,146 companies, are Japanese. The next-highest country is Germany with 837 companies, about a quarter of that of Japan. It’s Japan’s unique dedication to service that sets it apart. Intergenerational patronage takes the concept of the repeat customer to its extreme and it’s the lifeblood of a company that’s existed for centuries. It’s natural then that Japanese companies that last have focused on serving the domestic Japanese market. For Nishiyama Onsen Keiunkan, that’s meant focusing locally and in their own community, where their repeat customers lived. That’s how the hotel became much loved by “Kyoto residents, military leaders, and the literati”—and its reputation grew from there. Today, the average lifespan of a company in the S&P 500 is a shockingly-low 15 years. In an age when corporate turnover is higher than ever, we could learn a thing or two from companies that have lasted nearly a hundred times as long. Nishiyama Onsen Keiunkan is the best example of what’s such a powerful idea in Japan that it has a name: shinise means “established and long-standing company” in Japanese. The lessons above point to the broader philosophy about building companies that shinise companies share—it’s not about building something big, it’s about building something remarkable, that lasts. We’ve seen an interesting trend at companies that are extremely company culture-focused: the culture hacker. Software developers have built internal developer productivity tools since time immemorial because great engineering cultures push for automation and improving iteration speed. But now developers are turning their attention to addressing team dynamics and how the whole company functions and works together on the whole — in a word, culture. 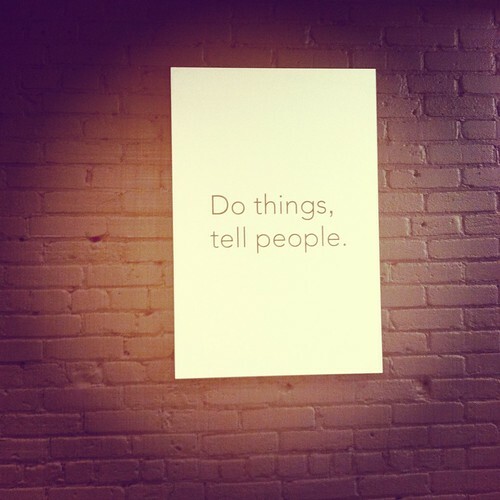 At many companies, company values are just words on a piece of paper tacked to a wall somewhere. 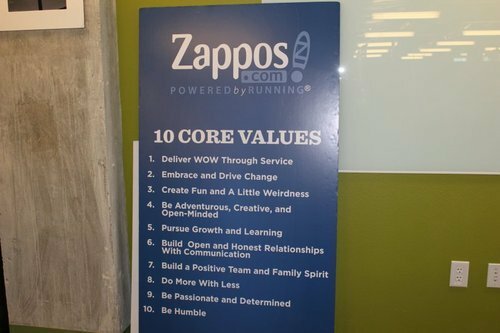 At Zappos, they’re extremely thoughtful about giving their values bite. For example, they’re famous for paying new employees to quit. After new employee training ends, each employee is offered the opportunity to quit their job and walk away with $1,000. They do this because one of the Zappos core values is “be passionate and determined”, and paying people to quit ensures that those who remain are incredibly enthusiastic about their work and in it for the long haul. They take it a step further by using code to reinforce cultural values in individual workflow. As Zappos has grown from a small startup to a 1,500+ employee company, it’s had to scale its value of having a tight-knit team and family-like atmosphere. 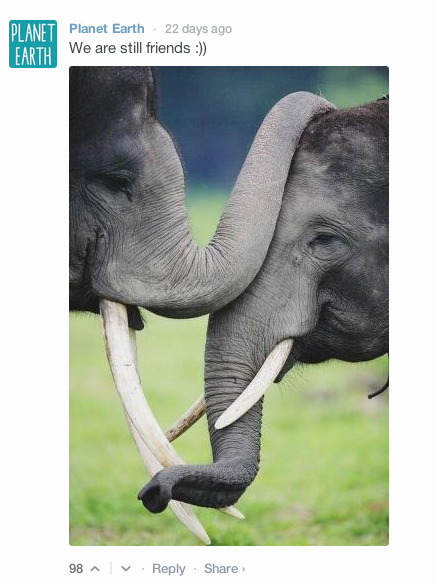 It was a natural fit to help those relationships scale through technology. Zappos has what’s called a “Face Game”. When you log into the computer system, after you enter your password, a face pops up of a fellow employee and you’re asked to enter the person’s name. Whether you answer correctly or not, you see a bio and profile – another way of getting to know your fellow workers and building culture. During a recent visit to Las Vegas, we met Darshan Bhatt, a developer at Zappos who spends 100% of his time on building internal company culture products that empower everyone in the company to make Zappos company culture their own. For instance, Zappos conducts monthly surveys to gauge the happiness of employees in the company. At another company, the survey results might be something management discussed behind closed doors to determine, at most, where in the company to deploy more pizza parties. At Zappos, Darshan builds tools that empower every employee with the data necessary to improve company culture and happiness in the company. Darshan showed us an application he was building that every employee in the company would get access to that allowed you to plot anonymized survey responses along different employee demographic information. He showed us an example where he plotted employee tenure length versus reported employee happiness. This gave insight into whether every stage in an employee’s lifecycle at the company was being properly supported and put the power of that data in the hands of every employee to make improvements. Shopify is a hugely successful e-commerce software platform based out of Ottawa, Canada, that has a remarkable company culture. They have a two-person team called Shopify Labs which is focused on building internal tools. What surprised and impressed me was the tight-knit relationship the Labs team has with HR in working together to build company culture products. At your average company, you’ll likely see a sharp division between front office and back office teams like HR. You might even see a contentious relationship if HR is focused too much on compliance/CYA and running employees through an impersonal annual review process. Shopify CEO Tobi Lutke made the point to us that they call HR “human relations”, not “human resources” to reinforce HR’s cooperative, company culture-focused role at Shopify. The Labs team together with HR built an application called Unicorn to recognize employee accomplishments in a fun, peer-sourced way. When Serena does something great, Daniel gives her thanks by going into Unicorn, logging her accomplishment, and giving her one, two or three unicorns. Everyone in the company sees Serena’s plaudits and can pile on more unicorns if they agree that she did an awesome job. At the end of month, every employee in Shopify gets allocated a proportion of the company’s profits that are set aside for Unicorn bonuses. Daniel’s allocation goes to Serena and anyone else to whom he’s given unicorns over the course of the month. Unicorn gives the power of employee recognition and even bonus disbursement to every employee in the company, not just to managers and HR. The tight working relationship between Shopify Labs and HR makes the cultural value of peer recognition real and vibrant through software. We’re seeing how company culture is becoming a huge differentiator in attracting and retaining top talent, and this is doubly true for the companies that truly walk the walk, not just talk the talk. Companies on the bleeding edge of focusing on company culture like Zappos, Shopify, Github, and Stripe are investing developer time — the most valuable resource at a software company — to make cultural values real through software. The post Company Culture for Startups appeared first on iDoneThis Blog.